Silver screen newcomer Lily James has made quite the entrance into Hollywood the past couple of years, starring as Lady Rose in Downton Abbey and Cinderella in the blockbuster remake of the classic fairy tale. More recently even, she took on the role of a zombie-fighting Elizabeth Bennet in Pride and Prejudice and Zombies. With a resume full of iconic (and some whimsical) characters, it&apos;s safe to say this British actress has officially arrived. And like a true starlet, James is making ripples in the fashion world, and we have certainly noticed. Here&apos;s how to get a few of our favorite looks from James&apos; repertoire. Has red ever looked better? James looks like a true movie star in this stunning crimson number, proving that impeccable tailoring goes a long way. The classic A-line silhouette is enough to have us on board, but the striking high neckline makes this dress a home run. Every woman should have a bold red dress in her closet that makes her feel as beautiful as James clearly feels in her red dress. To make this showstopper even bolder, wear a pair of black strappy heels, and throw on some sleek gold jewelry. 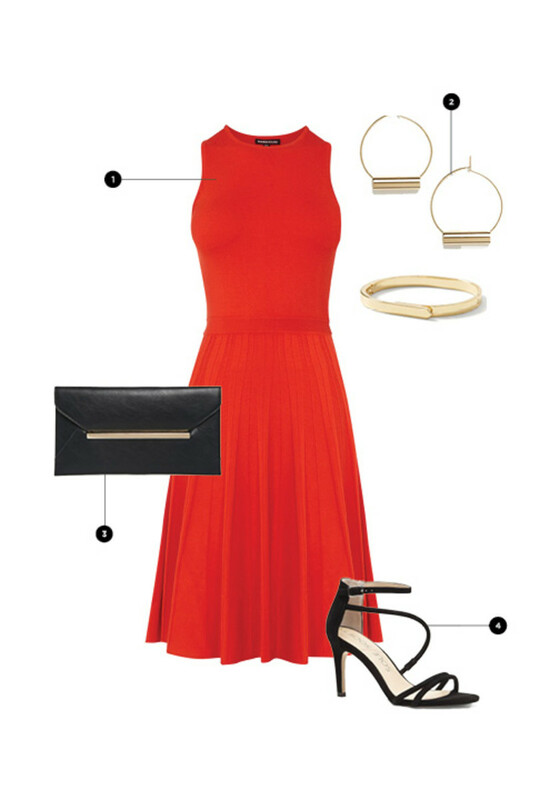 A simple black clutch will keep the look minimal, allowing your dress to steal the show. Elegance meets effortless in James&apos; sweet gingham button-up and pencil skirt. James takes these simple, traditional pieces and creates a comfortable and ladylike outfit that is easy to copy. Pair your simple button-up (patterned is more fun) with a sleek pencil skirt for a laid-back yet pulled-together look. To really amp up the classy factor, throw on a pair of basic black stilettos. This look is as easy as 1, 2, 3—literally. Can a simple white shirtdress be glamorous? Well, according to James&apos; chic white linen button-up, the answer is yes. Clearly, the most simple basics can be the most elegant pieces in your wardrobe. To make this look everyday appropriate, try pairing it with comfortable wedges. Add some quirky charm to this outfit by carrying a cute clutch with a splash of color. 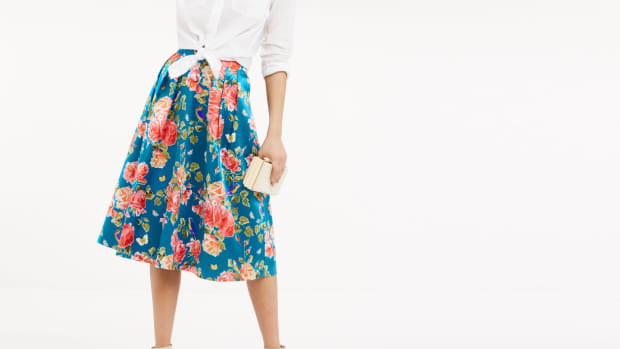 We don&apos;t know about you, but we&apos;re getting some Kate Middleton vibes from this outfit—and we&apos;re all about it. This royal blue number is perfect for James&apos; British on-screen royalty status and most importantly, it complements her complexion. Again, James makes this timeless look easy to copy: All you need is a royal blue A-line dress, a skinny black belt, black pumps, and bejeweled accessories to top it off. What we love the most about this look is that it&apos;s timeless, and you can rock it for many years to come. With a twist to some classic pieces, James is clearly a master of mixing and matching textures. Who would&apos;ve thought that two different types of lace could look so fabulous together? 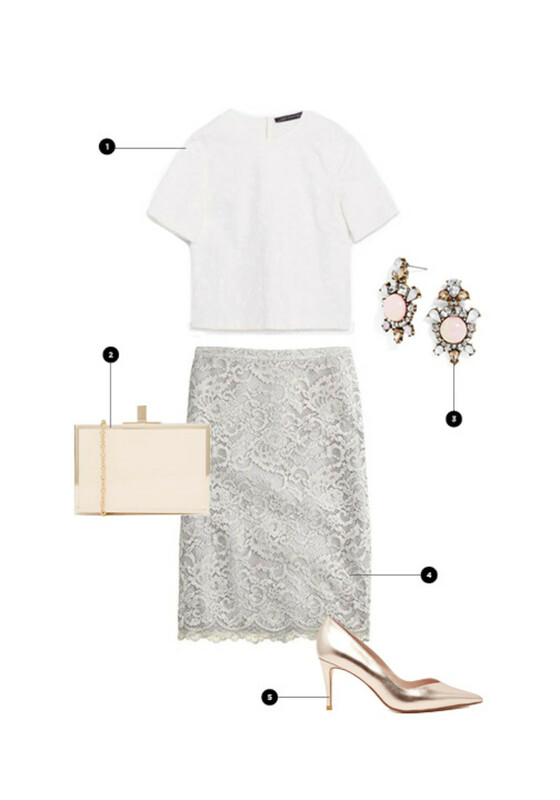 Try this experimental look out for yourself with a jacquard top and lace pencil skirt in the same or similar tones of white. To make this look a little more modern and edgy, James wore a pair of rose gold metallic heels. When copying this look for yourself, highlight the blush tone from the rose gold heels by wearing pink earrings and a cream-colored clutch. Now, this is a spring-ready look! She’s got star power and a star wardrobe. Create a powerhouse wardrobe that will boost your confidence in no time.